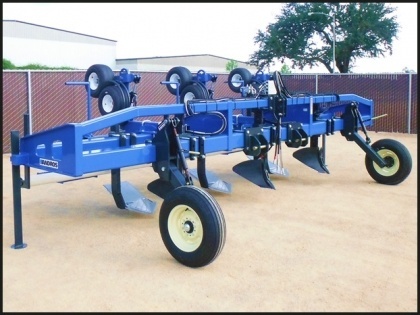 This equipment is the answer for the extraction of drip tape for reuse or recycle, whether you need to extract the tape from subsurface installation or through growing or lodged crop cover. A unique control system automatically matches extraction speed to tractor speed. This controlled tension, gently extracts tape through soil or crop vegetation. 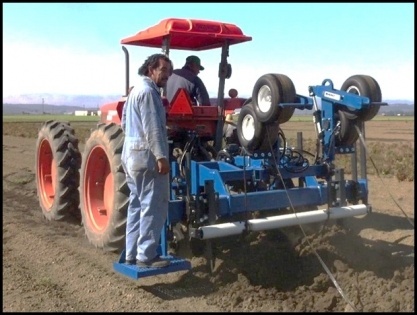 The pneumatic pulling tires gently squeeze the majority of the water out of the tape and lay it down on the surface to await end-of-row retrieval. 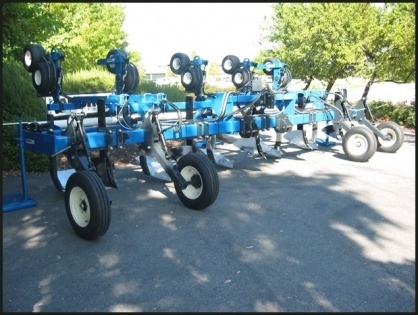 These tool bars are custom made to meet your specifications, from a one row unit to multiple lines on several beds. Allow us to build the perfect sled for your extraction needs.